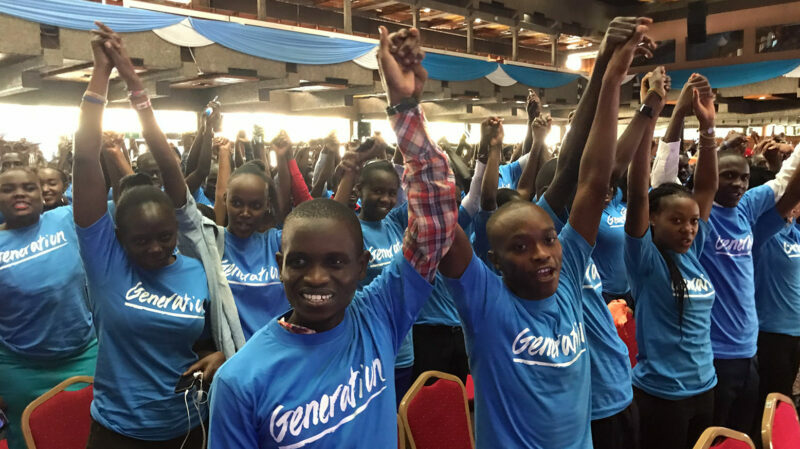 Generation Kenya is a public-private program, supported by the U.S. government through its development agency, USAID, and in collaboration with McKinsey & Company, Swedish International Development Agency (SIDA) and Safaricom Foundation. USAID Mission Director Mark Meassick and Generation Kenya CEO Ramakrishnan Hariharan, among others, were part of the graduation ceremony. “The U.S. government investments in youth are vital to our mission of promoting self-reliance and resilience among our partner countries, as well as to the goals of worldwide stability and prosperity that we all share,” said USAID Mission Director Mark Meassick. The Generation Kenya program works closely with the government of Kenya and technical based institutions such as Technical and Vocational Education and Trainings (TVETs) to equip youth with technical and employability skills. Since 2015, Generation Kenya has placed 84% of the 13,000 graduates into meaningful employment through a network of more than 350 employer partners across Kenya. The youth attend 4-8-weeks of boot camp training in banking, financial sales, sewing machine operation, restaurant services, retail, and consumer goods distribution. The graduation ceremony was held at the KICC and presided by Hon. Peter Munya, the Cabinet Secretary for Cabinet Secretary for Ministry of Industry, Trade and Cooperatives. “Programs such as Generation Kenya will help boost SMEs by providing the necessary skill set. SMEs are the biggest employers for the youth. The Government is working hard to continue to create the right environment to nurture such talents,” Hon. Munya said. Generation Kenya has grown from one training location in Nairobi in 2015 to 38 across 20 counties. The new graduates join a growing alumni network of 13,000 talented workers contributing to the growth of the Kenya’s economy. Of the 13,000 graduates, 57% are female. And, 70% attained a Grade C or below in the Kenya Secondary School Certificate of Education (KCSE), examination — a population whose transition rate from secondary school to tertiary institutions is low. “The debate has always been whether the graduates coming from both the technical and institutions of higher learning are half-baked or if they meet the necessary threshold to be employable. This is exactly why Generation was established, to try and address the existing challenge of entry level skilled labour across different industries,” Generation Kenya CEO Ramakrishnan Hariharan.